This little dish was inspired by my friend who typically makes these in the oven. 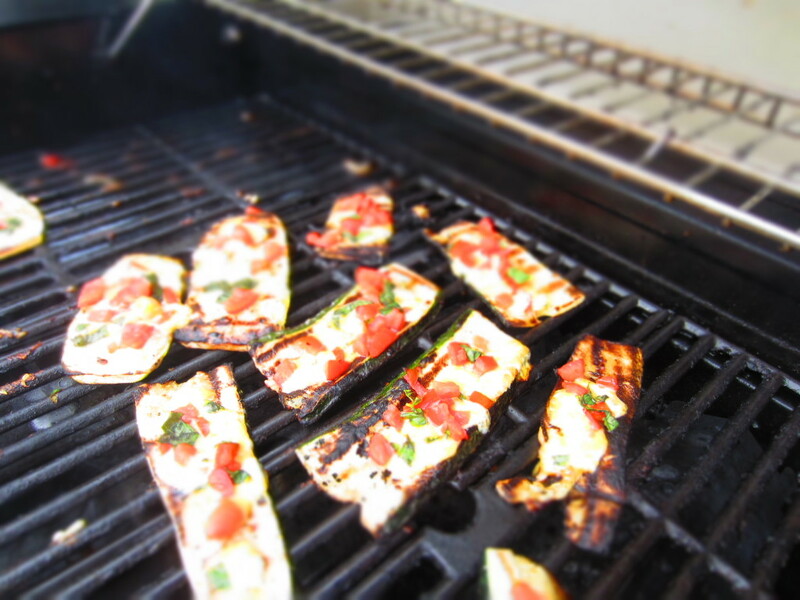 Since it was beautiful out and I was calling them zucchini steaks I thought I’d grill them! I’m glad I did, they turned out fantastic! In the words of Clare’s dad, “I’d give it a 10 star rating.” I’m hoping that was a 10 out of 10! 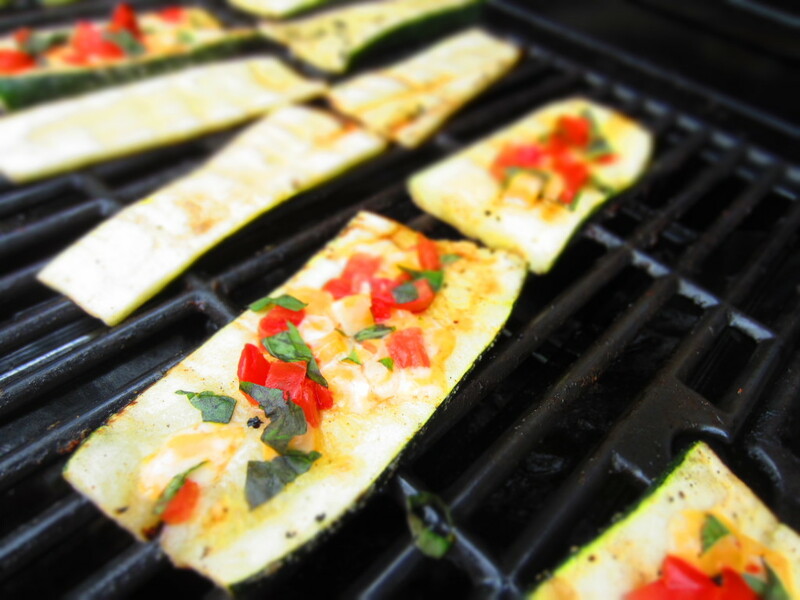 The concept is pretty simple, chop up the zucchini into strips, toss them in some olive oil, and throw them on the grill. 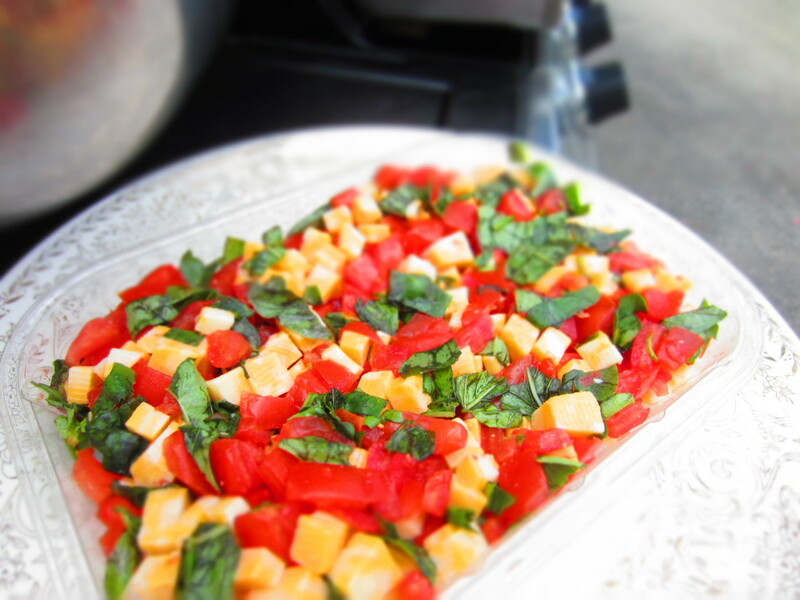 When they are almost done put a mixture of cheese, tomatoes and fresh basil on top. Wait until the cheese melts and eat! This is such a great dish for this time of the year. Zucchini’s are growing EVERYWHERE right now, so pick up some cheap zucchini’s and try this out! Chop zucchinis into 1/2 inch strips, put them in a bowl and drizzle olive oil over top, add salt and toss to coat. Combine cheese, tomatoes and basil. 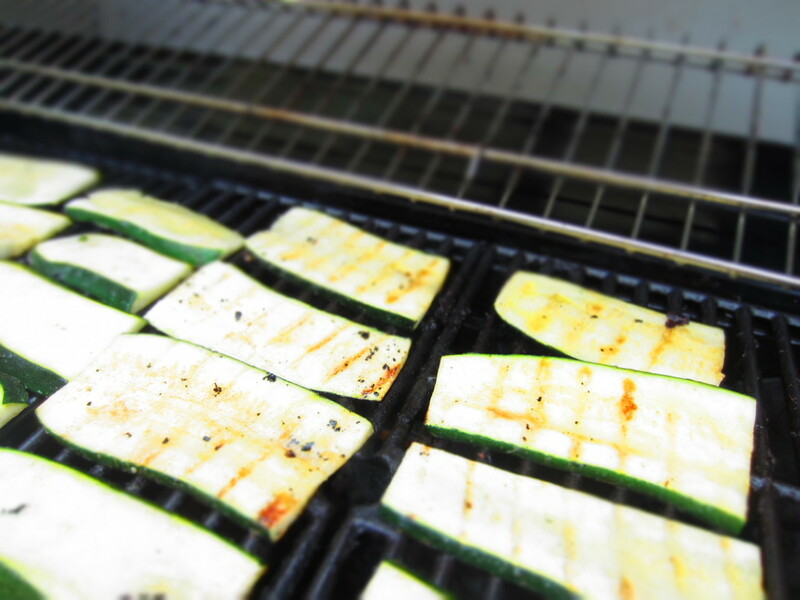 Grill zucchini for about 3 minutes, flip them, after 3 more minutes. Sprinkle the cheese mixture over top cover it and when the cheese is melted, they are ready to eat!